Recycling Machinery Innovation: Cascade Extrusion System COREMA® by INTERSEROH Dienstleistungs GmbH and EREMA Engineering Recycling Maschinen und Anlagen Ges.m.b.H. The winners each received a trophy, with a 3D printed base made from 100% recycled ABS plastic car dashboards and the multi-colour top which is laser cut from compressed HDPE beach clean-up bottle caps. The recycled plastics demo car by Volvo Cars, demonstrates that recycled plastics definitely have a place in the automotive industry. The jury lauded Volvo’s pioneering work in this area: a total of 170 plastic components in this demo XC60 were replaced by recycled plastics. A unique accomplishment and deserved of this award. The MPO Easy Channel drainage system by Multiport GmbH makes perfect sense: made from HDPE- and PP packaging waste, it is lightweight, easy to handle and easy to lay. The jury liked the fact that the material was an ideal fit for the purpose and as result successful in the market. The PBD drawstring collection bag by Cedo Folien- und Haushaltsprodukte GmbH contains more than 90% certified post-consumer recycled (PCR) plastic of which more than 40% is flexible packaging. As well as successfully recycling post-consumer plastic, the collection bag is designed to actively encourage the collection of plastic packaging, metal packaging and drink cartons for recycling. The sustainable, 100% rPET, flat wine bottle by Garçon Wines and RPC M&H Plastics is an innovative mail order wine bottle that fits through letter boxes. This product fits perfectly with the spirit of our times. The packaging combines convenience and cost-effectiveness with a lightweight sustainable design, ticking all the boxes required in packaging today. Gian De Belder is the face of Procter & Gamble’s commitment to sustainable development. He has worked tirelessly to develop solutions to problems such as the recyclability of Opaque and Difficult to Recycle (ODR) household and personal care PET bottles. He is the project leader of Procter & Gamble’s Holy Grail project, which is developing industry-wide system for watermark and tracer technology. 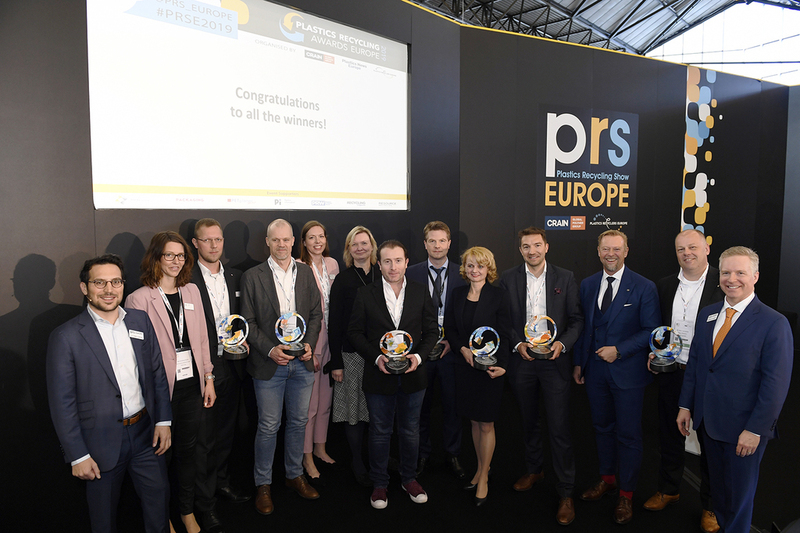 He has put recycling on the map, both for the industry and consumers and was therefore unanimously voted this year’s Plastics Recycling Ambassador by the jury. 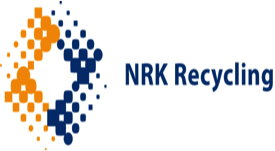 Carbon black packaging waste – trays, clamshells and the like – causes problems in recycling streams, as it cannot be detected by the NIR sensors used by most recyclers. Ampacet Corp has developed black masterbatches that contain no carbon black pigment, rendering them near-infrared (NIR) transparent, and therefore detectable and able to be sorted. Ampacet’s NIR (near-infrared) detectable black colourants are part of the company’s sustainable development programme. The COREMA® Cascade Extrusion System, extrusion line for mechanical recycling of post-consumer thermoplastics by INTERSEROH Dienstleistungs GmbH and EREMA Engineering Recycling Maschinen und Anlagen Ges.m.b.H was recognised by the judges as the most innovative combination of processing technologies that delivers cost-effective recycling of post-consumer plastic to produce high quality plastic material. The distinguished panel of judges for the awards comprised: The 2018 Plastics Recycling Ambassador of the Year Willemijn Peeters, CEO of Searious Business, the social enterprise committed to preventing plastics from ending up in our environment; Bart Bleijerveld Founder and Design Lead at Better Future Factory; Rune Thoralfsson, owner and director of Norfolier GreenTec, the largest film recycler in the Nordic region; Ton Emans President of Plastics Recyclers Europe (PRE) and Director Group Recycling at Cedo and Karen Laird Editor of Plastics News Europe. PRSE will run on the 10th-11th April 2019, RAI Amsterdam, Hall 7. Find out more here. If you have an enquiry, please get in touch with us.